We’ve got parks. We’ve got the Docks. We’ve got amazing galleries and museums. 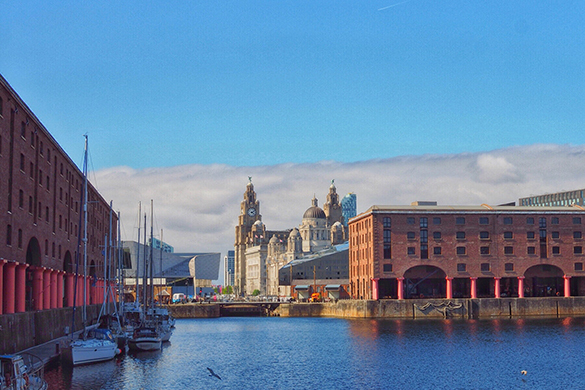 But Liverpool also boasts loads of free experiences that are totally unique to our city. We’ve rounded up six of our favourite experiences below, but feel free to share any we’ve missed with us on Instagram (@LivUni), Facebook or Twitter. From the Fabric District to the Baltic Triangle, Liverpool has some incredible street art and, with a little planning, you can spend a great day exploring some of these amazing artworks. Signatures Living have taken some of the leg work out of planning your tour, by rounding out some of the locations you might want to visit in their Street Art in Liverpool blog post. “However difficult life may seem there is always something you can do and succeed at” – Freshly finished Stephen Hawking tribute piece by @akse_p19 for @contrastmuralfest in Liverpool. Did you know that as a University of Liverpool student you get free access to Tate Liverpool’s exhibitions? All you need to do is show your student card. Africa Oyé is the UK’s largest celebration of African and Caribbean music and culture. The festival takes place in Sefton Park and always has an incredible line-up. As well as headline acts like BCUC and OSHUN, this year’s event offers free workshops, amazing food and DJ sessions. Africa Oyé is taking place on Saturday, June 22 and Sunday, June 23 this year. Most weekends, Liverpool plays host to a free market. On the first Saturday of every month, the Lark Lane Farmers Market takes place. The stalls are great for browsing, even if you don’t end up buying anything. And afterwards you can always head down Lark Lane to Sefton Park for a walk. The Bombed Out Church also runs a market on Sunday for local produce and crafts. Hope Street’s Makers Market takes place on the third Sunday of every month and sells everything from bespoke jewellery to home baked cakes. There’s normally free music being performed at Hope Street’s market too. Once a luxurious country estate and the ancestral home of the Molyneux family, Croxteth Hall Country Park is now open to visitors. Although access to the home and petting farm are ticketed, you can enjoy the Hall’s beautiful grounds for free. On a sunny day, we recommend taking a picnic. With live music, yoga, free breakfast and arts activities, the Summer Solstice celebration that takes place in Princes Park is not to be missed. The event starts at sunrise (4:15am) and ends at sunset (9.44pm) and takes place on Friday, 21 June.